First impressions matter—and more often than not, those impressions start the minute a customer, visitor, vendor or employee walks through the doors. Every detail counts, starting from the ground up. If your facility's flooring is starting to chip, crack, discolor or just show its age, you need new floors—you need Natural Stone by Everlast Epoxy. Incredibly resilient, safe and attractive commercial flooring, Natural Stone is a preferred choice for a wide range of facilities. Why Choose Natural Stone by Everlast® Epoxy for your Business Flooring? There’s no shortage of commercial flooring solutions on the market, but they’re not all created equal. When you’re making this kind of investment in your facility or workspace, make sure you understand all of your options—any why Everlast Epoxy’s engineering and features can benefit your business. » Creates or enhances beauty in your business: You never get another chance to make a good first impression. Your customers' purchasing decisions, the morale of your employees and the confidence of your vendors and partners are all influenced by your company's visual image. Natural Stone by Everlast Epoxy is made up of real, carefully selected Natural Stones or granite stones that give your business a sophisticated, professional look, while also projecting a feeling of warmth and beauty. Choose from a diverse range of colors and designs, or create your own custom flooring—you can even add your company's logo! 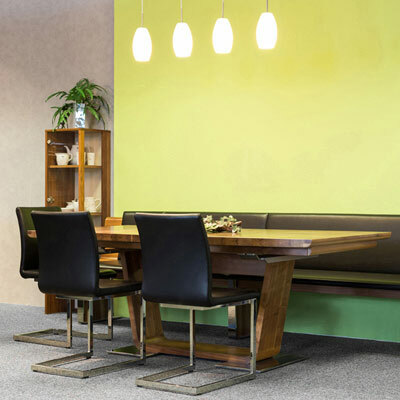 » Optimal strength and durability: With most modern flooring options—such as concrete, tile, wood, laminate, carpet, vinyl or paint—wear and tear begins to show over time, requiring multiple cycles of costly repairs or replacements. Natural Stone by Everlast Epoxy is made with a resilient balance of stone and binders for optimal strength. Natural Stone Epoxy is ideal for indoor applications, while the polyavastic binder withstands even the harshest elements in outdoor applications. Designed for exceptional damage resistance, it’s able to withstand up to 9000 PSI, making it an ideal solution for lobbies, hallways, outdoor welcome areas, storage spaces, public gathering areas and other high-traffic spaces. 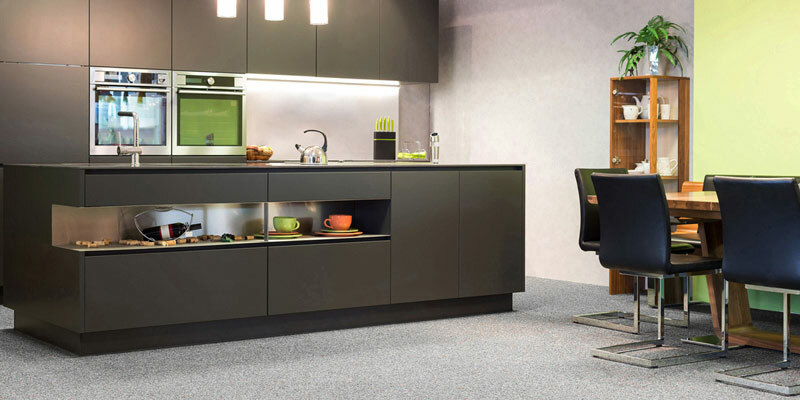 This remarkable flooring is also resistant to damage from water, flooding and temperature extremes. » Easy, seamless installation: Natural Stone by Everlast Epoxy is designed to bond to existing concrete, with no expensive replacements necessary. If you’re having problems with unsightly cracking, chipping or stains but don't have the budget to remove your existing flooring—or if you just want to prevent future damage to your concrete floors—our efficient solution installs right over your existing concrete without having to undergo expensive repairs or replacements. » Ease of maintenance: Natural Stone by Everlast Epoxy is an extremely efficient and low-maintenance commercial flooring solution, requiring only occasional cleaning. This saves you time and money, and also prevents downtime in areas with heavy foot traffic. When used indoors, Natural Stone can be easily cleaned by vacuuming, sweeping or mopping. It even catches dust, thus improving air quality and reducing cleaning costs. For outdoor applications, you can simply power wash it or spray it down with a garden hose and mild detergent as needed. 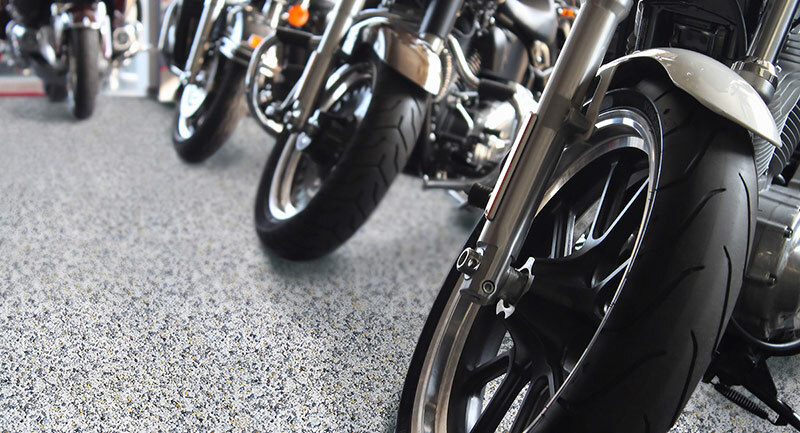 » Enhanced safety and peace of mind: Approved by OSHA and ADA as a slip-resistant surface, Natural Stone by Everlast Epoxy creates a level of traction that ensures a safe, comfortable walking space for employees and visitors. Thanks to our proprietary VaporVent Technology, water won’t collect or pool on the surface, minimizing the risk of slips and falls. Install Natural Stone over uneven, cracked or damaged concrete and reduce the chances for dangerous and potentially expensive accidents. Learn more about how Natural Stone by Everlast Epoxy can benefit your commercial facility. Click or call to get your FREE estimate or to speak with one of our product specialists.